October 16, 2015 – NOAA is celebrating 40 years of operating GOES (Geostationary Operational Environmental Satellites). NOAA’s first Geostationary Operational Environmental Satellite was launched from Cape Canaveral Air Force Station in Florida on October 16, 1975. Known as GOES-A when it launched, the satellite was designated GOES-1 once operational. GOES-1 returned its first image only nine days later on October 25, and quickly became an essential tool used by the NOAA’s National Weather Service. Using a Visible/Infrared Spin Scan Radiometer (VISSR), the satellite provided day and night observations of cloud and surface temperatures, cloud heights and wind fields. Although GOES-1 was spin-stabilized, only viewing Earth about 10 percent of the time and providing data in only two dimensions, it gave forecasters their first near-real time look at atmospheric conditions from a fixed location. 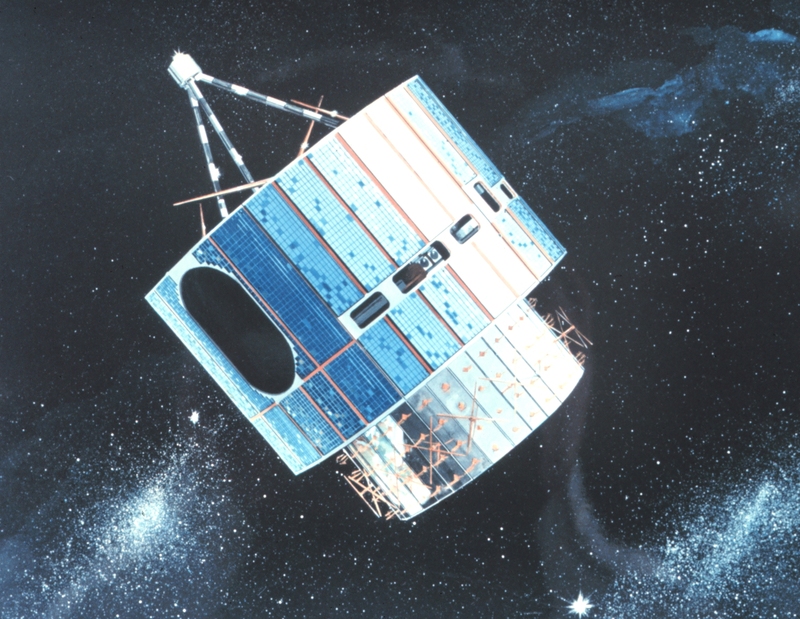 GOES-1 remained active throughout the launches of GOES-2-6, until finally being decommissioned on March 7, 1985. The following generations of GOES satellites and their instruments continued to improve, experiencing significant enhancements, and have now provided continuous and accurate imagery and data on atmospheric conditions, solar activity, and Earth’s weather systems for 40 years. Over the decades, GOES have taken well over 3 million images! 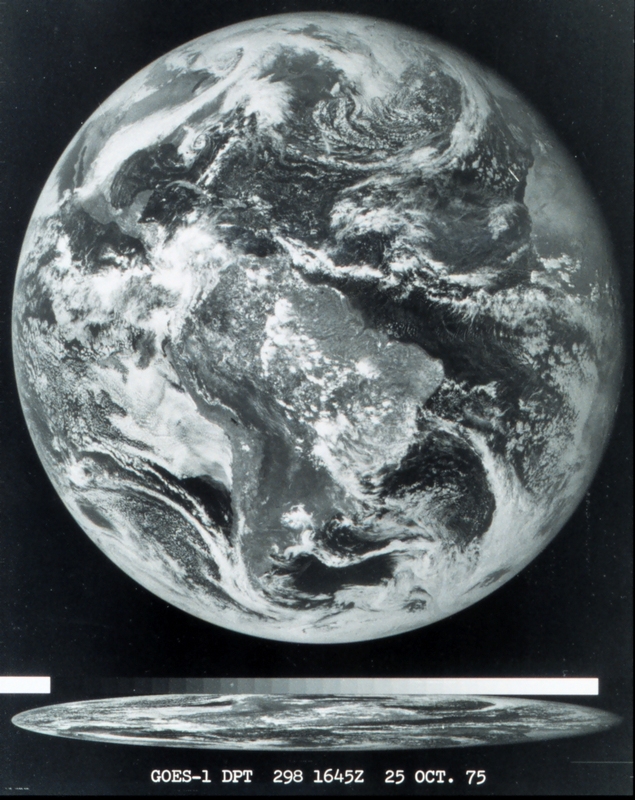 Geostationary means the satellite is always in the same position with respect to the rotating Earth, allowing the satellite to hover over one position on the Earth’s surface. NOAA operates a GOES-East satellite and a GOES-West satellite to provide constant vigil for the atmospheric “triggers” for severe weather conditions such as tornadoes, flash floods, hail storms, and hurricanes. GOES-West covers the western U.S. and the Central and Eastern Pacific Ocean. GOES-East covers the eastern U.S. and the Atlantic Ocean. Since the success of GOES-1, the GOES satellites have become forecasters’ eye in the sky, playing a vital role in providing imagery and data to forecast and track our nation’s most severe and potentially deadly weather events. With the next generation of weather observing satellites on the horizon, NOAA is poised to once again significantly improve weather forecasting and severe weather prediction. The first satellite in this series of satellites, called GOES-R, is scheduled to launch in fall of 2016 aboard a United Launch Alliance Atlas V launch vehicle from Cape Canaveral Air Force Station in Florida. Positioned above North America, GOES-R will scan the Earth five times faster at four times image resolution, and triple the number of channels scientists can tap into to observe global weather and climate. This increase in data production means satellite imagery of severe weather, like hurricanes and tornados, will be available in near real-time, giving forecasters even more tools to make timely warnings during a severe weather event. Six instruments will fly on the GOES-R satellite, including two built by CU-Boulder’s Laboratory for Atmospheric and Space Physics (LASP) and another designed and built by Lockheed Martin Space Systems of Littleton, Colorado. Lockheed Martin is the prime contractor. 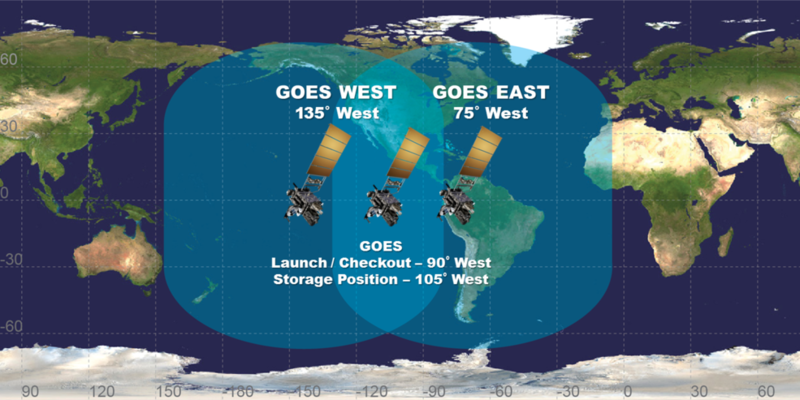 The GOES-R series satellites will carry the first lightning mapper flown from geostationary orbit. The Geostationary Lightning Mapper, or GLM, will map total lightning (in-cloud and cloud-to-ground) continuously over the Americas and adjacent ocean regions. Research has shown that lightning flash rate increases can be a predictor of impending severe weather and total lightning data from GLM has great potential to increase lead time for severe thunderstorm storm warnings. Providing data to support weather forecasting and monitoring Earth’s climate requires many types of satellites, however. The NOAA/NASA Suomi NPP satellite and the future JPSS constellation will work in tandem with GOES-R to provide vital information in the face of severe weather events. The GOES program formally began in 1975 as a joint effort of NOAA and NASA. 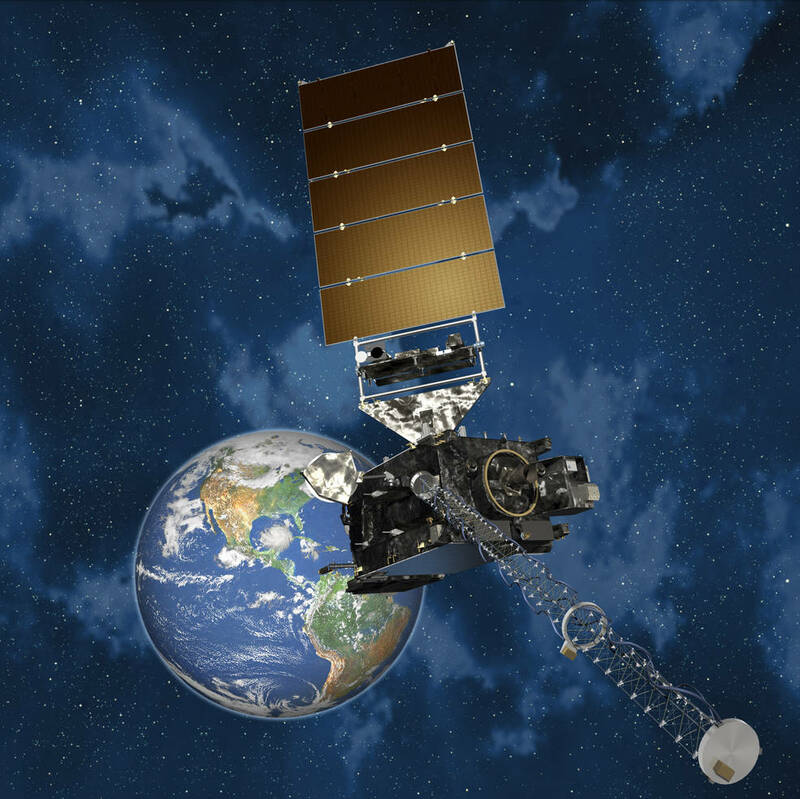 The GOES series of U.S. satellites are developed by a joint NASA-NOAA-Industry partnership, launched by NASA (with industry partners), and operated by NOAA. The NASA/NOAA GOES Project Science Team at NASA’s Goddard Space Flight Center creates infrared and visible images and animations from the GOES-East and GOES-West satellites. Imagery can be found at: http://goes.gsfc.nasa.gov/.